1.- Once we’ve gotten the permanent residency card we will no longer have to renew every year correct? That is correct. 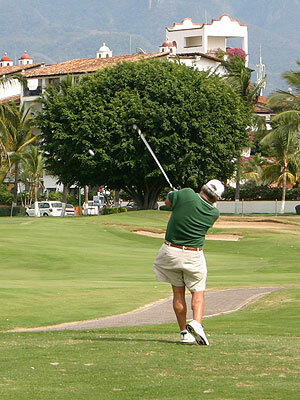 The condition of permanent resident authorizes any foreigner to stay in Mexico for an indefinite period of time. 2.- What size photos are required for the new immigration (formerly FM3) forms, the former infantile size or passport size? The size of the photos is the same since 2010. ‘Infantil” size (2.5 x 3 cm.) They MUST comply with the following requirements: white background, ears and forehead uncovered, no earrings and no eyeglasses. We only accept studio photos, no instant ones. 3.-My FM3s expire in July, will I be required to renew before that or wait until they expire? You can only renew your document within the 30 calendar days prior to its expiration. In the case of a temporary resident card, during a new application you may solicit to obtain a 1, 2, 3 or 4 year validity. The temporary resident card is only renewable for up to a 4 year period. 4.- Is there any benefit to not going with permanent residency? 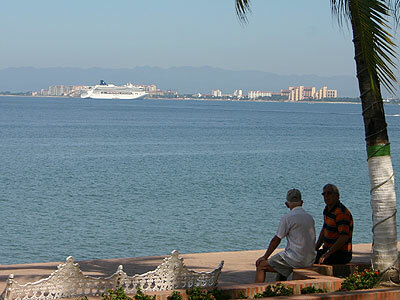 Current Immigration Law grants permanent residents the following rights: stay in Mexico for an indefinite period of time; work authorization; multiple exits and entries; duty free importation of household items (usually 1 time and in accordance to current customs law); and right to preserve family unit. 5.-We received out first FM3 in May 2012. Is there any chance existing FM3 holders will be grandfathered under the old rules? NO. As of November 2012 the new regulations of the Immigration Law have gained full validity; therefore, the old regulations are not applicable anymore. 6.-We are a gay couple and have been together for 34 years. Our total monthly income is $3,505 but the vast majority is in only one name. Could we be considered a household? The current Immigration Law recognizes the following partnership situations: marriage, cohabitation (“concubinato”) and other figures equivalent to cohabitation. Your relationship will be considered valid if you document your partnership situation in accordance to Mexican Laws. 7.-How do Americans or Canadians start the FM process, can they start at a Mexican Consulate? Regardless of nationality, all foreign citizens who want to reside in Mexico for a period no longer than 4 years can start their process for Temporary residence at any major Mexican consulate abroad. Once authorized with an ingress visa, you must present at any designated Mexican Immigration entry post (borders, ports and airports) to gain entry into Mexico. The Immigration Officer will then issue a FMM form with a 30 day validity to exchange start the application Temporary Resident card. 8.-We need to schedule travel back to the US, approximately how long will it take from filing the application to receiving the permanent visa? In accordance to the new regulations and procedures, your local authority has a máximum response period of 20 business days to resolve and authorize applications. Once your application has been authorized, you will be required to sign and provide fingerprints. After that second procedure, a wait time of approximately 15 more working days should be expected for the delivery of your resident card. 9.-If a person has a Non Immigrado card with 4 renewals, does this person automatically qualify for Permanent status? If so, is any further documentation needed to move to the next visa status? Yes, after 4 years have passed with a temporary residence status, a foreigner can start the process to change his/her condition to Permanent Resident. At the time of the application you must clearly mention that you are requesting the change of condition to Permanent Resident. 10.- I have had FM# since arrival in 2008 and then moved to Immigrado in 2010. My current Immigrado states only 1 renewal on the back. Does this mean that I must wait for 3 more renewals to move to Permanent status? If you have a Non-immigrant card (fm3) or immigrant card (fm2) and the back of the card says “Renovacion 1″; this means that upon expiration you will have been a temporary resident of Mexico for two years. You must wait for another 2 years as a temporary resident before you can apply for a change of condition to become a Permanent Resident. 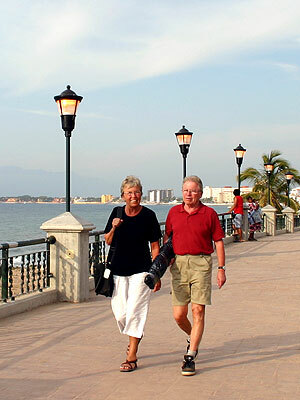 11.- Since our FM3s expire March 1, 2013 and March 4, 2013, can we then switch to tourist visa at that time here in Nuevo Vallarta? Can the car be transferred at the same time? 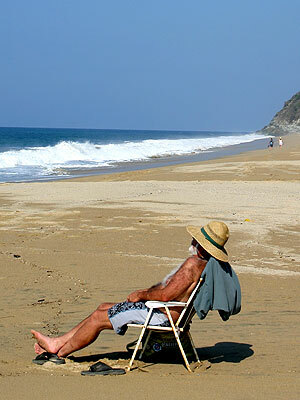 We prefer to drive the out of Mexico at the end of April 2013. Upon your return to Mexico you should deliver your immigration form card and ask to be admitted into Mexico as tourists by a FMM form. 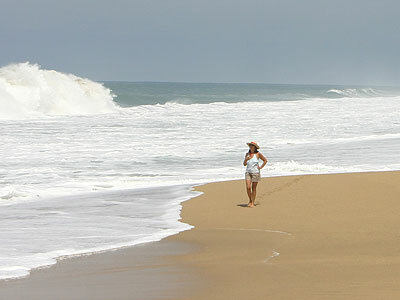 You will be granted entry to Mexico as visitors without work privileges and a maximumstay of 180 days. Please check at the border with customs about your vehicle. Vehicle legalization is not the competence of immigration. 12.- I am a 20 year, full time resident in Mexico and my FM2 visa, which I’ve had for 4 years, expires in August of this year. Under the “old rules” I could apply for Inmigrante (permanent) status or Mex citizenship. The former status of “Inmigrado” is now considered as Definite Residence. Anyone who has had the status as temporary resident for 4 years can apply for this status. Please consult the Mexican Ministry for Foreign Relations website (SRE.GOB.MX) for requirements on naturalization. 13.- I have had a FM3 for 3 years , my renewal comes up in September, will I have to provide all the financial statements. Bank statements are not a requirement when a resident card for renewal is issued. In lieu of this requirement you must present a letter in Spanish signed by the applicant. This letter must state that the financial conditions under which the immigration condition was authorized are still subsistent. 14.- For permanent residence, may I combine my 9 years as FM3, plus 2 years FM2? Does one need to have permanent residence BEFORE applying for citizenship, or INSTEAD of? How long on Permanent Residence before I can apply for citizenship? No, you may not. For all immigration procedures the length of your status only counts with the latest immigration condition. In your case only those years as an immigrant (fm2) count towards the 4. Please consult the Mexican Ministry for Foreign Relations website (SRE.GOB.MX) for requirements on naturalization. 15.- Please address specifics about when someone needs a working FM3, particularly people who are only here 3 to 4 months of the year. Please give us the specific guidelines. In order to engage in employment activities within Mexico, regardless of the time period you work, you must have a work permit issued by the Immigration authority. You must consult with your local office on the application and payment that corresponds to your particular case. 16.- Can I apply for my permanent residency visa even though my current FM-3 doesn’t show a 4 on it? I was late renewing the FM-3 last year so my current card doesn’t show that I’ve had an FM-3 for 4 years. No, temporary residents can change their condition to permanent resident after four REGULAR years of status. This means they must have renewed on time during the last 3 years. The only way you could apply for permament residence is if you can demonstrate retirement income or pension from abroad in a minimum of $2,500 USD or investments in Mexico for a minimum of $96,000 USD aproximately. 17.- Does my state mandated health insurance paid for by my former employer, which is accepted by private hospitals in Mexico, count as part of the total income requirements for permanent residency? No, the minimum income requirements must come from continuous retirement or pension benefits from abroad. In other words, only the actual retirement payments received continuously. 18.- What happens when you are completed you 4th prorogued of FM3. Do you have to go to Residente Permanent. Or can one star a new Four/5 year residents temporal visa. The temporary resident condition authorizes a foreign citizen to stay in Mexico for a period no longer than 4 years. After that period you may apply for a change in condition to Permanent Residence or abandon the country. 19.- If we have to go to a permanent resident visa, what are the requirements, procedure and fees for that? The requirements for Permanent Residence are different for each case, as they depend on the particular situation that qualifies you to apply for it. Please visit your local immigration office or visit our website at http://www.inami.gob.mx for further information. The current fees (2013) to apply for Permanent Resident are as follows: $1,000.00 pesos for the application and review process, then an additional $3,815.00 pesos for the cost of Permanent Resident Card issuance. 20.- What status must you have to avoid Capital Gains taxes – FM2 Permanent, etc.? The Immigration Institute is not competent to answer tax related issues. Please consult with your notary public or, accountant or tax specialist, so that you can apply for the immigration condition that is most suitable to your interests. 21.- Must we let the FM3 expire and then start the process a new and we also have to pay a fine of $1,200. Pesos? The immigration authority DOES NOT suggest letting your documents expire under any circumstance because it means that the foreign national will be in an irregular situation. However, if you qualify for an immigration regularization process, fines range between $1,295.00 and $6,476.00 pesos at the discretion of the immigration official. We have 2 cars here with current US license plates. Will they continue to be legal? They are legal as long as your temporary importation permit (180 days) is legal. If you have changed your immigration status to temporary or permanent resident your vehicle must return to its country of origin. You must apply for a definitive importation if your vehicle qualifies. Will legalizing each vehicle be a requirement if we chose permanent residency? Yes, a definitive importation will be in order. Will we be able to legalize a vehicle that has a lien on it by a US bank? NO, according to the following article in the law: RCGMCE 4.2.7. Fraction VI paragraph I. How will it work to legalize a vehicle that is less than ten years old? Can I bring personal possessions including art work (but excluding electronics) across the border without paying duty on a one time basis? You must apply for a transportation of household goods permit at your nearest Mexican Consulate, it is free of charge. Please refer to the following websites for more information: http://www.aduanas.gob.mx and http://www.sat.gob.mx Bear in mind that any article is considered merchandise and may be subject to duties if it exceeds personal use items or you customs exceptions. 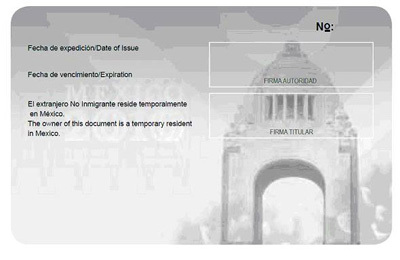 Where in Puerto Vallarta can I get the correct forms to notify Aduana of the change from FMM to temporal residence status? What is the process for completing the Aduana notification and permission to keep my car in Mexico for the length of my temporary residence? What information is required to be provided for the change? How long is the process expected to take? Renewal, extensions or re-applications are no longer accepted for temporary or permanent residents. The customs authority will receive notifications but that will not mean they will be authorized. I just renewed my FM3 for 3 more years. What do I need to do to keep my truck here legally? If you have the immigration conditions of permanent or temporary resident, you will no longer be able to legally keep your vehicle in Mexico. You may apply for permanent importation of your vehicle if it meets the requirements. What years of cars can be imported at this time? Where can you have the importation of your car done? 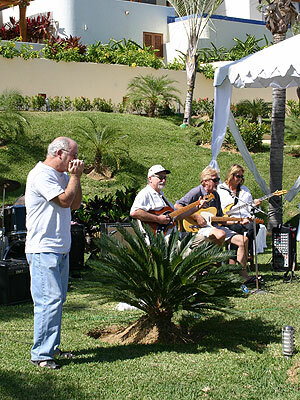 Do you have to drive to the border or can you have it done here in PV? You must always contact a registered customs agent for any permanent importation at the northern border or maritime terminal if the vehicle came by sea into Manzanillo or Cancun. Currently only vehicles that are 6 years old can be permanently imported. We drove our 2007 jeep to Mexico December 2012. It has an ownership and plates good to 2014. My husband now has an FM3. Is there any way to get the deposit back that we had to pay at the border. We did go and get a form last year and forwarded it to Mexico City when he got his FM3. If we eventually nationalize the plates will it be returnable or just write it off? The guarantee deposit can only be recovered at the same border module where it was paid. You must cancel the temporary permit (before the 180 day period expires) before the reimbursement can be approved. After the deposit is reimbursed you may apply for permanent importation if your vehicle qualifies. Please explain the relationship between the new immigration categories and the ability to operate foreign plated vehicles. Many folks have obtained their ‘FM2/3′ for the purposes of leaving and operating their foreign plated vehicle in Mexico. Will this continue? What happens to this relationship after someone has maxed out on their time in a ‘temporary resident’ status? At this moment only visitors on tourist visas can temporarily import vehicles for a maximum period of 6 months or 180 days with multiple entries within a 1 year period. The only option for temporary or permanent residents at this moment is a permanent importation. If one has a foreign plated car in Mexico attached to a tourist visa which is good for 180 days, is it possible to fly out of Mexico to the states for a short visit during that 180 day period leaving the car in Mexico until the original 180 day period expires? Yes you may because the vehicle is legal in Mexico for 6 months. You must make sure you come back in time to drive back to the border before the vehicle’s permit expires. Will there be a grace period for long time Mexican residents who are US citizens to import their cars that are older than 2007? Sorry, no grace periods allowed in accordance to the 5th article of the Mexican Customs Law. Will my vehicle with a VIN starting with “J” be treated differently than other vehicles? The Mexican Law of Permanent Importation of Used Vehicles is drafted under the provisions of the North American Free Trade Agreement (NAFTA), therefore only vehicles made in the US or Canada can be imported. These vehicles have serial numbers (VIN or NIV) that begin with a number 1, 2, 3, 4, or 5 only. Unfortunately your car’s serial begins with a “J” which means it was made in Japan. Mexico does not currently have any trade agreements with that country. 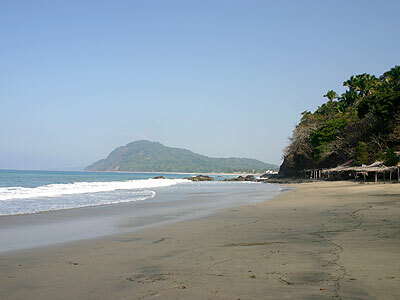 Can we permanently import our vehicle in Manzanillo? Yes, only if the vehicle entered Mexico first through that port and by sea. For instance, a vehicle cannot be driven from the border to Manzanillo and apply for permanent Importation.